In this episode, Dan and Todd talk about what makes a good mission statement. From the things to avoid to an example of what to strive for, this episode dives deep into why mission is critical for an inbound organization. 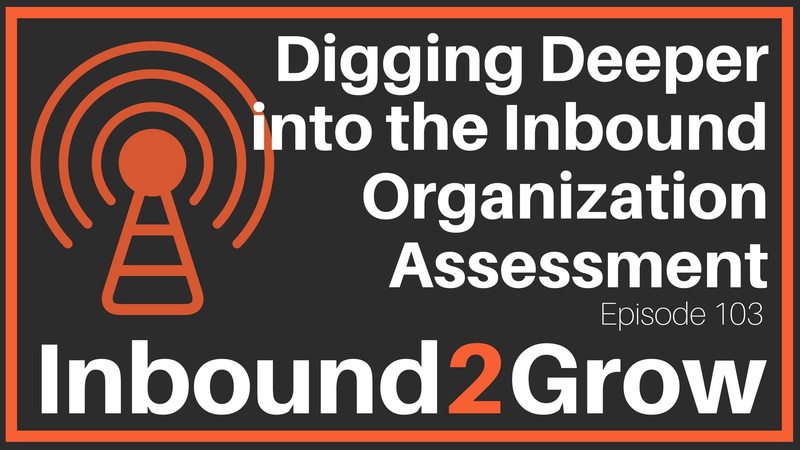 The Inbound Organization Assessment is a simple to use, handful of questions that help companies build the right foundation for becoming inbound. Taking the assessment will help you gauge how much work needs to be done, familiarize you with the concepts and terms of inbound, and give you actionable steps you can take to become an inbound organization. [4:26] The Question: Why are leaders and executives so important to building an inbound organization? Leaders and executives are vital to building an inbound organization because they define a companies mission. That mission is the foundation and guiding values and principles you want your people to follow and share. Your mission is so important in today’s world because people want to do business with people who share their values and principles. They want to work with businesses that mirror their beliefs, and the same holds true for employees. People want to work for a company that they can believe in. Caring about what you’re doing for work and whey you’re doing it is why people go the extra mile and invest their time and energy into their employers. [9:16] What is a Good Mission? An inbound mission begins with the why and works backward to how you are going to help people. A good test of your mission is to ask yourself if any other company could use the same mission statement to describe their organization. Also, no buzzwords!